School is out! I feel sad about this, but there were points this year where I began to resent the winter holidays and the end of the school year. Somehow, the things that I normally love – like preparing gifts and planning parties – just became too much of a good thing. There were too many late nights and deadlines. But, we survived, and we did have some fun along the way, too, of course! I’m thinking about how to make the next rounds less hectic, and I have to say that traveling right after school ends may not be the best idea. No point in adding packing suitcases to the already long to-do list! One of the big events of this month was planning a Kindergarten graduation party with my friend Ari. 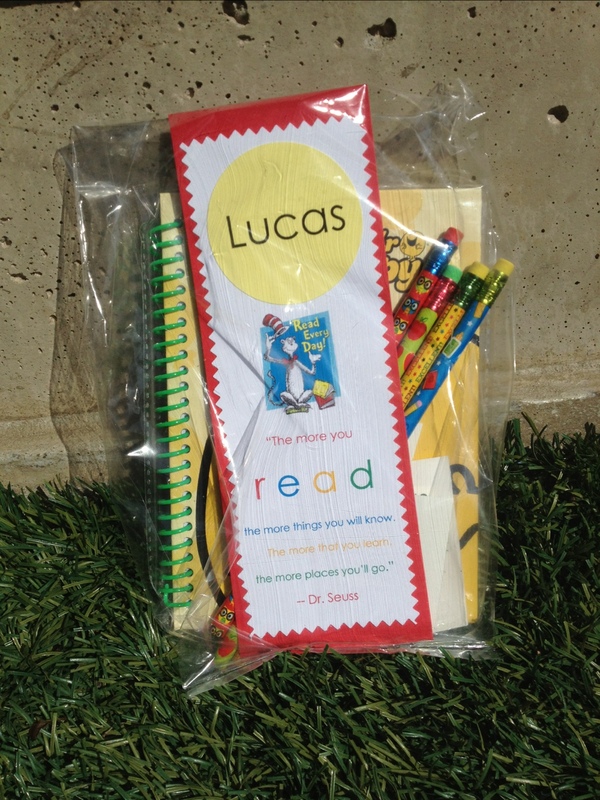 Our children just completed their K year, and we wanted to celebrate this big achievement with them. 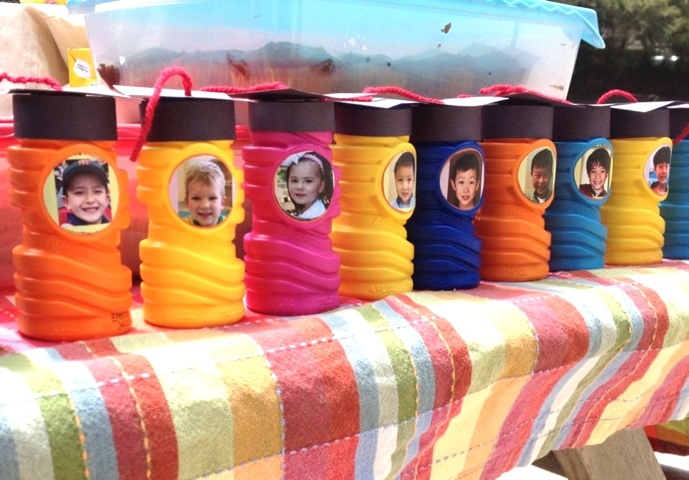 We started with some ideas from this article Ari found over at Yum Sugar: Fun Party Ideas for Your Little Graduates. Plenty of inspiration there, though we didn’t want quite that much sugar! 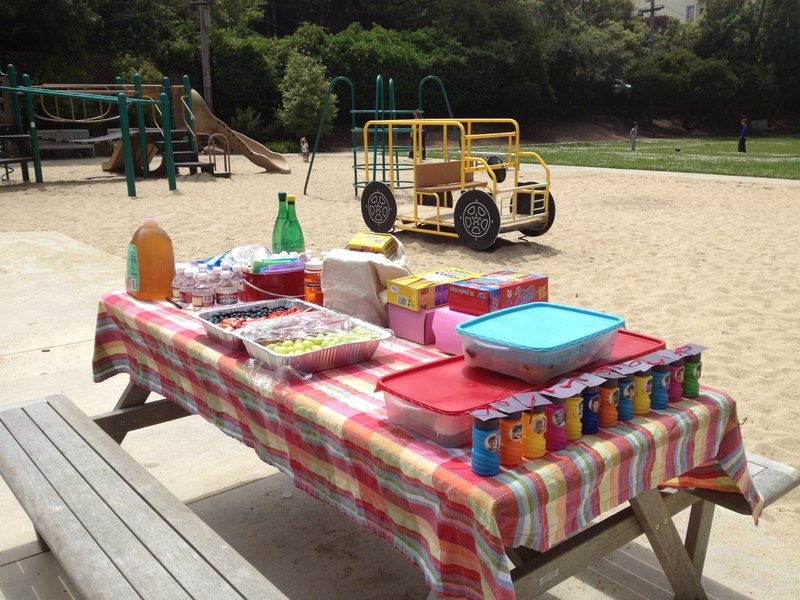 We held a small park playdate for our kids and their closest buddies after the half day of school. Since, it was after lunch, we didn’t need a lot of food, but we knew the kids would need some fuel after all that running around. Serve fruit in waffle cones for a healthier snack. You could add chocolate or nuts to the cones for a treat! We served the fruit on the side, and let each person scoop their own, so the cones wouldn’t get soggy. Cupcakes were the sweet indulgence. I made the cupcake toppers using coffee stir sticks and paper. 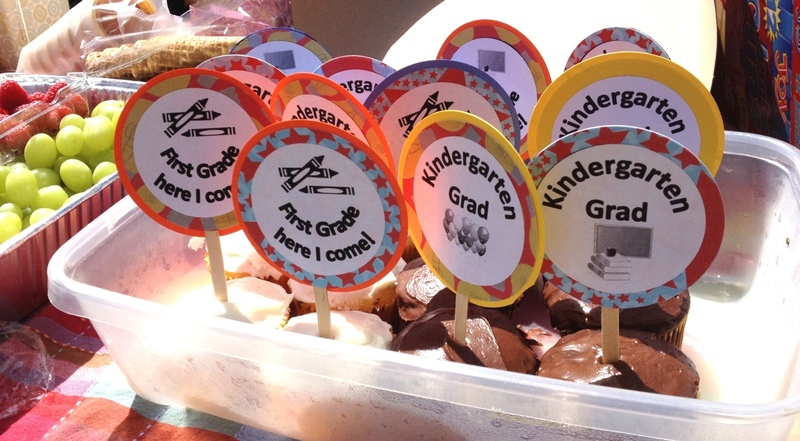 You can download the PDF I created in Powerpoint here: Kindergarden graduation cupcake toppers. It’s actually in color, but I didn’t have easy access to a color printer, so I printed them in black and white and added color in the background papers. Cupcakes with Kindergarten graduation toppers. These bubbles were Ari’s idea, and it was brilliant and adorable! We made the hats out of construction paper and yarn, and it looks like the little faces are wearing graduation caps! A lot of the parents were taking pictures of the bubbles, since we certainly had no hope of getting the kids to line up for a picture. Bubbles decorated for Kindergarden graduation. 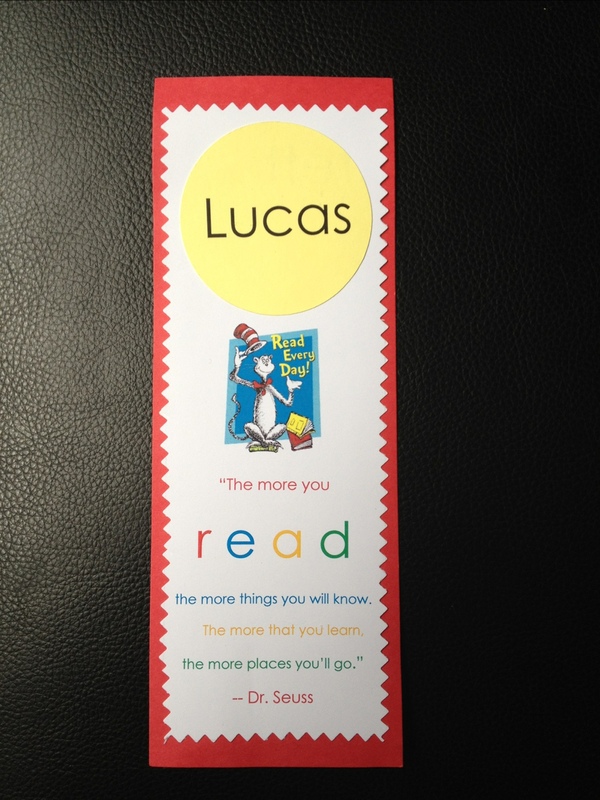 The party favors had a school theme, with these bookmarks that Ari created to give along with some pencils and notebooks. Looking back on the chaos of the week, I’m really happy we did this for the kids. Once the planning and work was done, it was a fun way to unwind at the end of the school year.